The psychology industry knows that our ability to understand the factors that affect our behaviour is surprisingly poor – we simply can’t explain the decisions we make. So does anybody know what affects our behaviour? Yes – many classical findings in social psychology demonstrate the power of social proof to influence our actions. Stanley Milgram and colleagues devised an experiment where one of them stopped on a busy New York City street and gazed skyward for sixty seconds. Most people simply walked by. When the researchers added four other men to that group of sky gazers, the number of passersby who joined them more than quadrupled. One man on his own is weird. A group of men, however, reinforce a social norm. It’s this thinking that spawned an experiment with towel reuse in hotels. To the team’s knowledge no hotels used a social norm to reinforce their towel reuse signs: So an experiment was set to inform guests of the fact that other guests reused their towels. 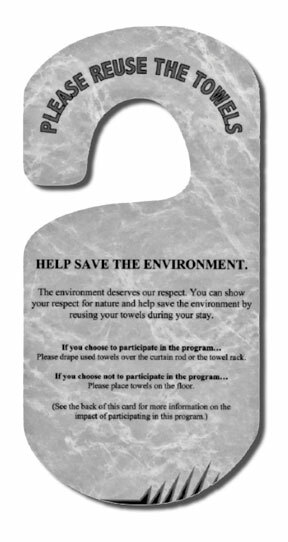 A separate group of hotel guests were exposed to existing towel reuse wording that didn’t reinforce a social norm. 1. Help Save The Environment – followed by information stressing respect for nature. 2. Help Save Resources For Future Generations – followed by information stressing the importance of saving energy for the future. 3. Partner With Us To Help Save The Environment – followed by information urging guests to cooperate with the hotel in preserving the environment. 4. Join Your Fellow Citizens In Helping To Save The Environment – followed by information that the majority of hotel guests do reuse their towels when asked. As you’ll have noticed, only the fourth message reinforces a social norm (‘Join your fellow citizens…’) – so, was it effective? 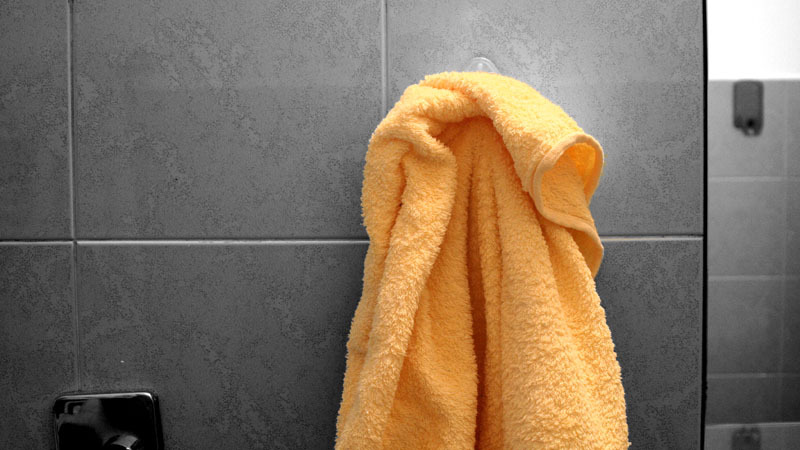 Guests exposed to the fourth message were 26% more likely to recycle their towels. This simple word change is something that most people say has no influence on them at all. How about this for some numbers: the average 150-room hotel would save 72,000 gallons of water, 39 barrels of oil, and would eradicate the release of 480 gallons of detergent in the course of a year. Interestingly, this simple but effective appeal didn’t emerge from a history of trial and error to become a hotel ‘best practice’. Instead, it emerged from a scientifically-based understanding of human psychology. It’s this thinking that will help the creative industries persuade people to behave sustainably. For more on the psychology of presenting choice read an article by George Marshall – the founder of the climate change charity Climate Outreach Information Network. – in The Guardian (UK) called ‘Jeremy Clarkson and Michael O’Leary won’t listen to green cliches and complaints about polar bears‘ which discusses how to position global warming in a language deniers understand: energy independence and potential for new enterprise. *Sweden has 1700 hotels, and a population of 9 million. That equates to 1 hotel per 6000 people. If you assume the average hotel density around the world is 10 times fewer that Sweden’s, you have 1 hotel per 60,000 people. There are 6 billion people on the planet, so you end up with 100,000 hotels. If each is saving 72,000 gallons of water per year that equates to 7.2 billion gallons globally.